Selected Villas for rent near Maha Saman Devale Temple (Sri Lanka) - Contact us now! The Maha Saman Devale sits atop a small hill, and occupies a spot in a spacious plot of land containing expansive courtyards. 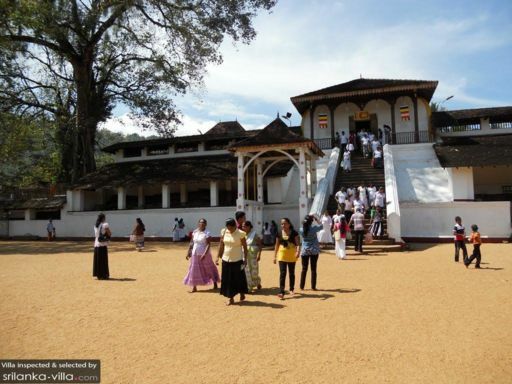 Grand in size and setting, this shrine is an architectural beauty designed in traditional Kandyan style. It is an important place of worship for Buddhists, and draws hordes of devotees and tourists to its site.